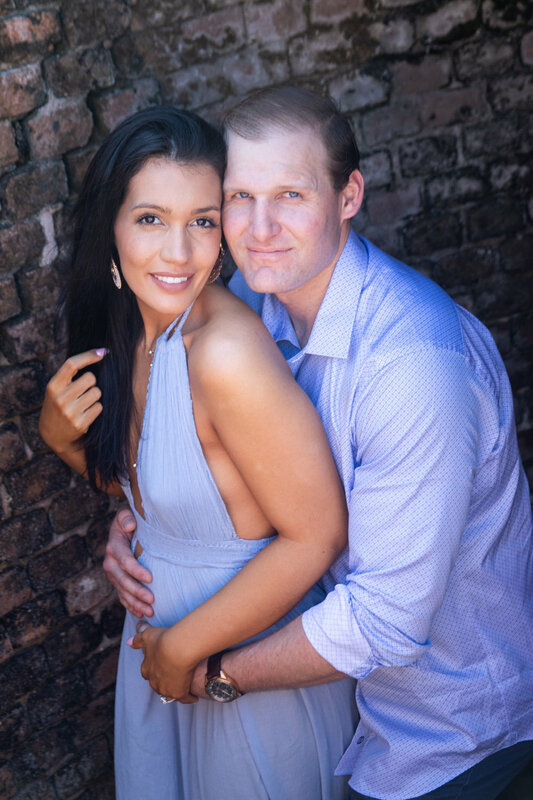 When Ryan called me to discuss his plans to ask his girlfriend Jasmine to be his wife, he said "Whatever we do, I want her to feel really special." Over several weeks we went through a few ideas and options for locations, landing with the decision to do it atop the historic fortress at Fort Zachary Taylor Historic State Park, high up over the park and overlooking the ocean in the background. I've done many a wedding up there, but never a proposal, so it was to be a unique spot that no one else typically gets! 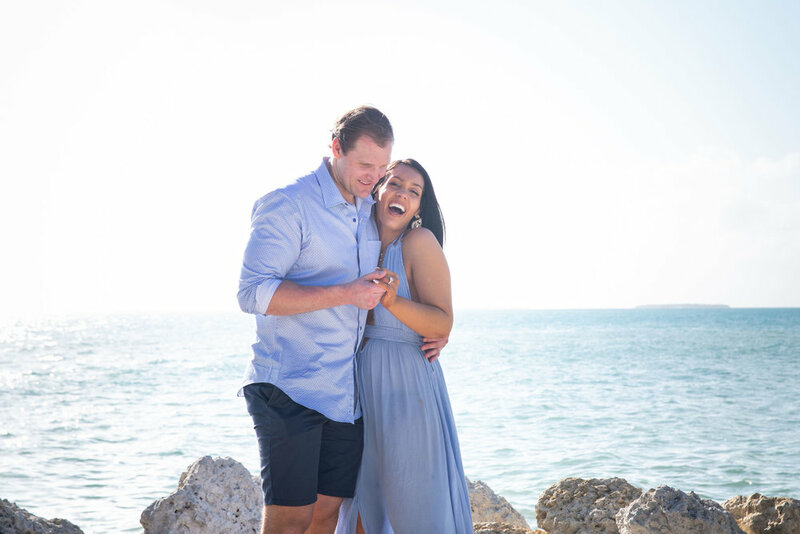 From there, we plotted dinner reservations, wardrobe ideas, and plans to sneak in a few maternity shots as well during the shoot, since they are also expecting! 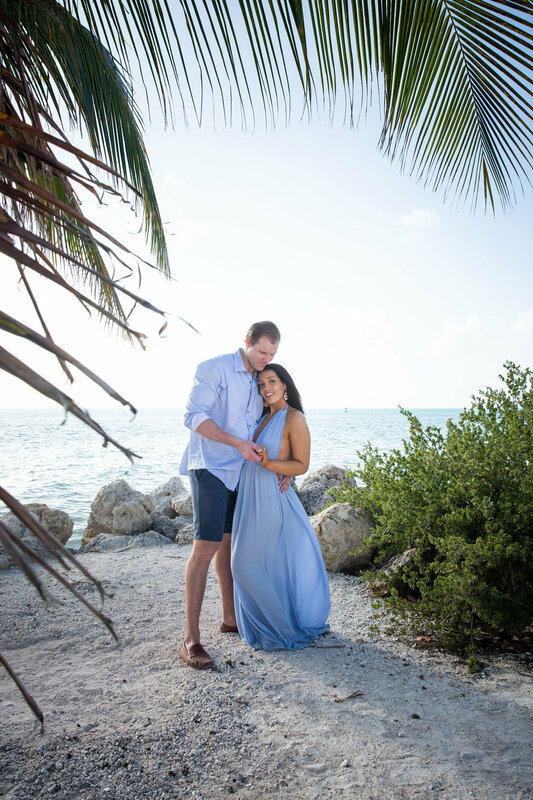 This was to end with them heading back to the Key West Marriott Beachside Hotel, where concierge Joe did an amazing job helping me coordinate the setup of rose petals in their room while they were gone for the session. Special thank you to Pam and Lola at Kutchey's Flowers in Key West for pulling that off as well, as our timing had to be "just so", in order for the delivery to coincide with their departure, and the setup had to be done before they got back. All in all, it was a gorgeous day with clear skies, and we celebrated with stunning engagement photos all around the fort and the park.